British and U.S. researchers are developing a new virtually risk-free polio vaccine that "tricks" the body into triggering its immune system to counteract the polio virus, according to British media reported Dec. 16. Unlike other polio vaccines, this replica, or hoax vaccine, bypasses the need to import any poliovirus cells into the body. Researchers are optimistic as they embark on the first stage of testing. "This is an entirely new strategic approach against polio," Dr. Nicola Stonehouse of the University of Leeds says in a statement. "… What excites me about this project is that we're working towards a risk-free vaccine that will be essential for the complete eradication of polio from the globe. As well as being safe to produce and use, it will be stable enough not to need refrigeration and could be injected as part of current childhood vaccination programmes." Here's the full statement. The team that developed the vaccine was led by Stonehouse and professor David Rowlands of the University of Leeds faculty of biological sciences in collaboration with Britain's National Institute of Biological Standards and Control and researchers from Harvard and Oxford universities. Funding of $500,000 came from the Gates Foundation. Polio is still a danger in African and Asian countries. 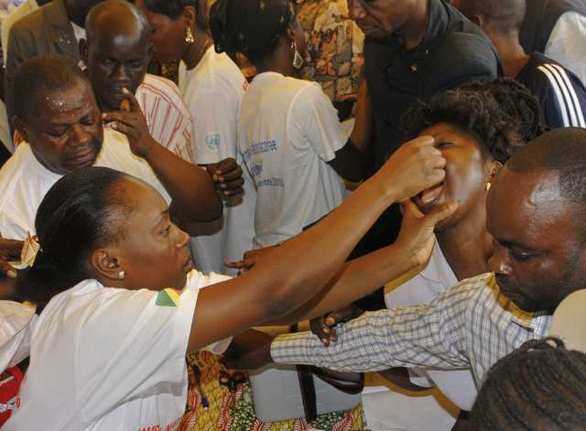 Reports last month said an outbreak in the Congo and Angola had caused more than 100 deaths, prompting aid agencies to carry out a massive program of vaccinating about 3 million people.